Going on a trip on your boat trailer is fun. However, it is very important that you do not encounter any hassles during your travel. Many enthusiasts of the trailer use the vehicle for many purposes. These include going out with the family on a trip or travelling to their favorite fishing sites. 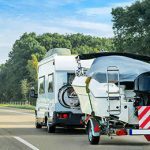 Whatever the purpose, it is important to spend your money wisely on quality boat trailer tires to ensure the safety of the passengers and the security of the boat. With quality tires, you are assured that you can reach your destination without any problems. Even if you are a very careful and expert driver, you can still encounter many problems on your travels if you use low-quality tires. It is even more problematic if you use poor quality tires for your boat trailer. Busted tires, for example, can force you to make stops for repair and replacement. Worse, problematic tires can also damage your highly-priced boats. You, thus, need to buy only quality tires for your boat trailer. In buying the best boat tires, make sure you keep in mind these very important qualities. Remember, if you choose the right tires, you are sure of your safety and that of your boat. Ever wonder what brand of distribution hitch gives more value to your money? 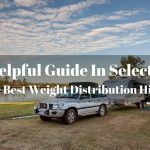 Look no further because, in this article, we’ll review the best weight distribution hitch available on the market today. All products are rated and reviewed based on the features that we’re looking for. If you’re not familiar with a weight distribution hitch, let me give you an overview. This system connects your vehicle and the trailer to avoid swaying while in transit. To learn more about this safety system and select the best product for your needs, keep on reading. Diesel motors are utilized in various applications in modern times. From cars to trains to ships, diesel engines are ones that keep the world moving. Ultimately, these engines take the needless strain through carbon build up due to slight impurities in the fuel. And when an engine is turned off, tiny amounts of the fuel still stay in places such as the fuel filter and fuel line, as well as the injectors, most importantly. If you’re a camper who spends much of his time inside the trailer, then these fuel residues can be quite a hassle for you. This glitch can reach to an extent where the engine’s injectors and other values can seize operations, and cleaning will not be enough to resolve the situation. That’s why it would be a great idea to make use of diesel fuel additives as a safety measure. The last thing you want is to be stranded in the middle of nowhere because your car or trailer doesn’t run anymore. Thus, the best diesel fuel additives will come in handy. 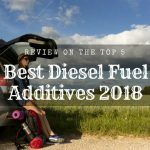 And while there are many diesel fuel additive brands out there, we will review only the best ones in the market. There are more than 30 million fishers in the USA (and much more worldwide). And each of these fishers may have their own distinct idea of what comprises the supreme fishing experience. The fishing bay boats shown in this post will reflect such diversity. Inshore fishing competitions spread like wild fire before the 2008 economic recession. Smiling professional fishers posed for the television cameras, sporting vibrant polyester jerseys like all those other ESPN heroes. 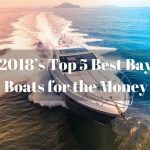 Bay boats targeted at inshore fisheries and designed with low freeboard, multiple fishing accoutrements, and moderate deadrise, grew popular over a decade ago. They were one of the strongest markets through the Great Recession, and these days, you can hardly cruise through a Gulf Coast inlet or a Florida coastal bay without seeing one or two or ten. Is your boat carpet dirty? As soon as a boat carpet gets a mildew infestation, it’s just a matter of time until a mold develops. When this occurs, the whole boat can become infested with spores, which can be extremely bad for your investment. 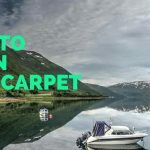 Certainly, if you utilize a boat often, some grime will ultimately get traced onto the boat carpet. Regular vacuuming will just keep most loose items from becoming a problem, although a number of them will surely find their way into the fibers of the carpet. Eventually, this can result in the carpet having a soiled appearance and losing its fluffiness, especially in high-traffic spots. Frequently, boat carpets are treated to stop mold formation. Over time, such treatment can subside, resulting in the boat carpet being exposed to moist air. Normally, boats are dank and dark, and individuals wearing soiled shoes frequently traverse ﻿﻿﻿﻿the carpet.